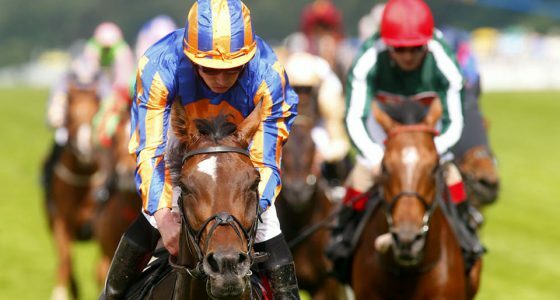 The Gold Cup, Ascot’s oldest race and Britain’s top event for long-distance thoroughbreds, has been dominated by one horse in recent years – the incomparable Yeats. The Irish-trained bay became the only horse in Ascot history to win the Gold Cup four times in succession when taking the 2009 race, making him arguably the best stayer of all time. 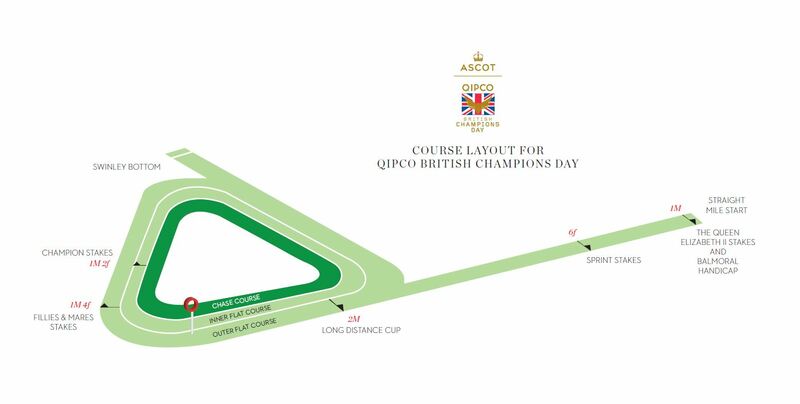 The Group 1 race, the second long-distance event in the QIPCO British Champions Series, is run over 2 miles 4 furlongs (4,000 metres) and is open to four-year-olds and older. It is traditionally held on day three – ‘Ladies’ Day’ – of Royal Ascot. 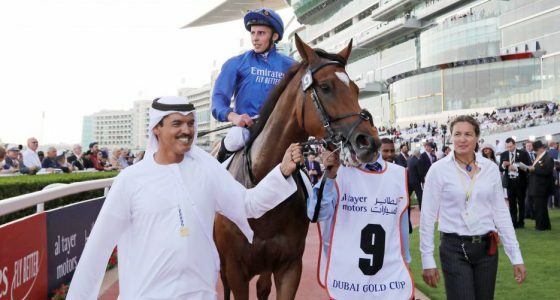 The Gold Cup certainly has royal connections. The inaugural running was watched by King George III and Queen Charlotte, while the 1844 running was attended by Nicholas I of Russia, after which the event became known as the Emperor’s Plate for a short period (the Crimean War may have had something to do with the decision to change the name back again). The trophy is one of three at Royal Ascot traditionally presented by The Queen though she won the race herself with the Sir Micahel Stoute-trained Estimate in 2013 so it was presented to her by her son, Prince Andrew. Estimate tried again in 2014 but went down by a neck to the 2013 Ladbrokes St Leger winner, Leading Light, giving trainer Aidan O’Brien his sixth victory in the race. The Gold Cup, along with the Artemis Goodwood Cup and Doncaster Cup, make up Britain’s Stayers’ Triple Crown. 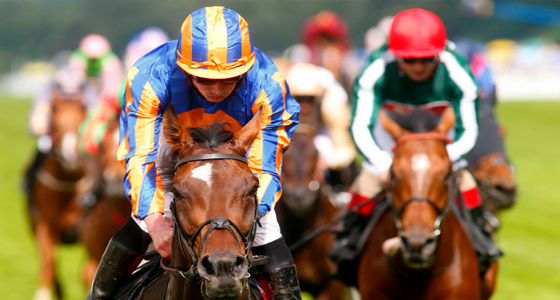 All three races feature in the QIPCO British Champions Series Long Distance category. The last horse to win them in the same year was Double Trigger, trained by Mark Johnston, in 1995. Aidan O’Brien, the trainer of Yeats, claimed his seventh Gold Cup with Order Of St George in 2016. A jubilant John Gosden was able to savour training his first Gold Cup winner after Stradivarius hit all the right notes to win an compelling stayer’s showpiece at Royal Ascot on Thursday. Less than a length separated the first three home – Stradivarius battling tenaciously under Frankie Dettori to prevail by three quarters of a length from Vazirabad, the prolific French raider, with the game Torcedor just another neck further back in third.. Many had billed the iconic race as a duel between Order Of St George, the 2016 winner who was beaten a short head in last year’s renewal, and Stradivarius. The pair were sent off 7-4 joint-favourites but the former was in trouble half a mile from home and could only plug on for fourth. “It was an extraordinary race,” Gosden said. “Frankie said they didn’t go that quick, and his heels were definitely down early on, which meant the horse was taking him on. “Frankie got himself out of a pocket, which was essential with the pacemaker coming back, and got himself in the perfect position. But as usual, Mr (Christophe) Soumillon (on Vazirabad) was waiting like all good Frenchman to pounce late and frustrate us. “What an exciting finish that was – and look at the line-up as they headed to the line. That’s a pretty smart front four. Stradivarius had not run over the stamina-testing trip of two and a half miles, but he ran to the line tenaciously. Gosden said: “He did see it out and he was going away at the finish. He’s a proper little staying horse that we call Mighty Mouse because he’s not very big – he looks a bit like a mini Trigger with his four white feet, but he is a gorgeous horse. Should he win both, then he will land his connections a £1 million bonus. “I’ve heard the bonus is well insured,” Gosden said. Trainer Alain de Royer-Dupre was magnanimous in defeat following Vaziribad’s defeat. He said: “When Vazirabad got to the front, he stopped. He doesn’t like to be in front too long. Jessica Harrington’s Torcedor led into in the home straight and kept on well to finish third. She said: “Torcedor has run a brilliant race. He saw the trip out very well today and kept on finding all the way to the line. “He goes on that ground, but on soft ground, he probably goes on it better than other horses. He goes just as well as other horses on fast ground, but I think he does like softer conditions. British horseracing can lay claim to plenty of blue-blooded connections, but none rival those of Ascot. The Berkshire racecourse’s roots go back 300 years to Queen Anne, who recognised the potential of a stretch of heath land while out riding just a few miles from Windsor Castle. The royal link has endured ever since. Today, Queen Elizabeth II and members of the Royal Family attend the world-famous ‘Royal Ascot’ meeting each year, arriving in a horse drawn carriage. Royal Ascot, meanwhile, has earned iconic status as a centrepiece of the social calendar, when the world’s best thoroughbreds face fierce competition from the world’s most extravagant fashion designs. Ascot, which underwent a £200 million redevelopment between 2004-6, also hosts the King George VI and Queen Elizabeth Stakes sponsored by QIPCO in July, the most prestigious open-age Flat race staged in Britain. 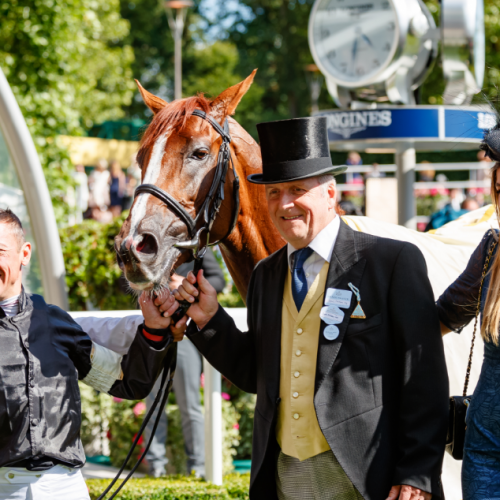 It will also host the inaugural QIPCO British Champions Day in October which will be the richest raceday ever staged in Britain with over £4.2m in prize money and the climax to the QIPCO British Champions Series. Including the five category finales on QIPCO British Champions Day, Ascot stages no less than 13 of the 35 QIPCO British Champions Series races. What sort of horses like Ascot? Horses that like right-handed courses. And what sort of people? People who like champagne and scones, apparently. During the five-day Royal Ascot meeting in 2010, 60,000 bottles of champagne and 40,000 scones were consumed. Lobsters, meanwhile, don’t like Royal Ascot – 1,500 of them were eaten over that same period.